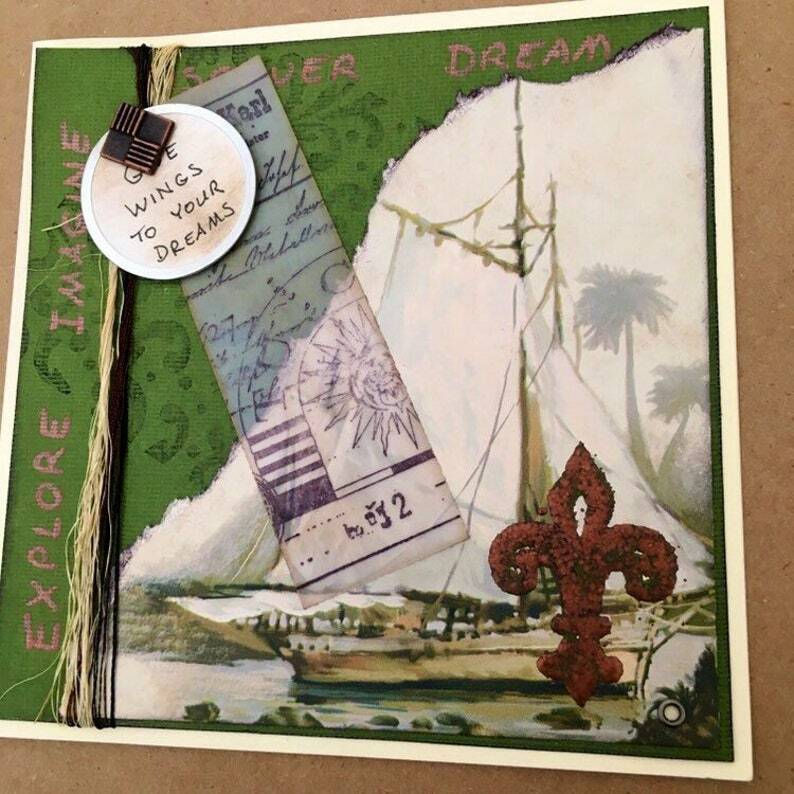 “Give Wings to your Dreams” tag tied with twine and copper thread accent this vintage wallpaper card with ship in harbor and Fleur de lis bronze embossed. Happy Birthday inside. Handmade vintage wallpaper envelope lined with Paper Source paper included.